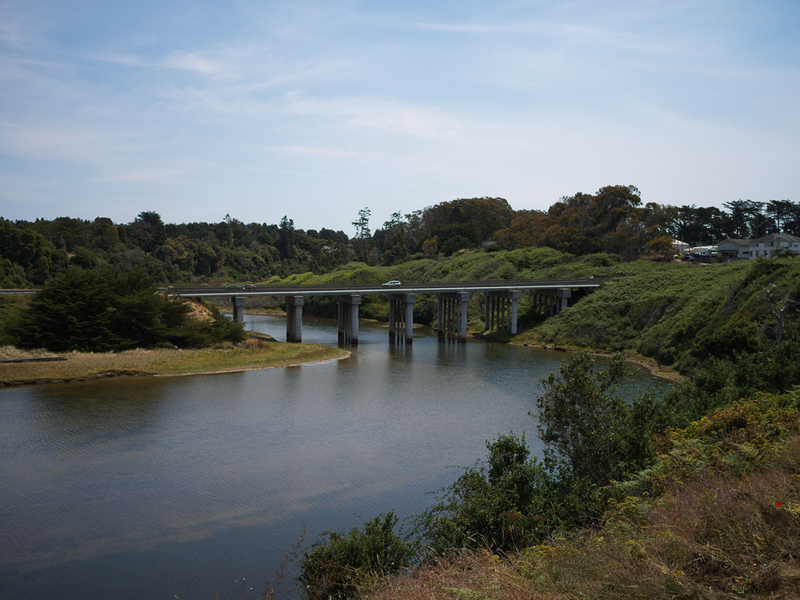 A highway bridge and a railway bridge (now converted to a pedestrian bridge) cross Pudding Creek a few hundred yards from each other. 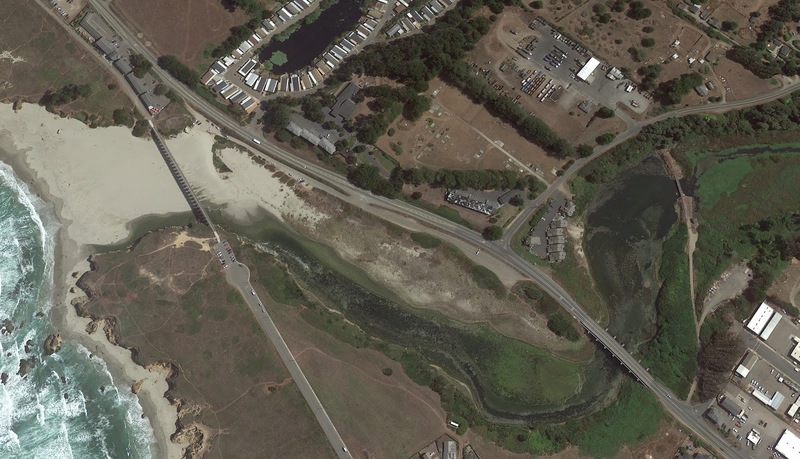 The Highway 1 Bridge (10 0158) is an eight span, precast concrete channel beam bridge that was built in 1959. The bridge was seismically retrofit in 1996. Large diameter piles were placed at the ends of enlarged bent caps. This is called a 'superbent' and is a commonly used seismic retrofit to more firmly anchor a bridge into the ground. The simply supported channel beams (upside down bathtub sections) were securely anchored to each other and to the bents. It looks like at some point a water line was attached to the west side of the superstructure. 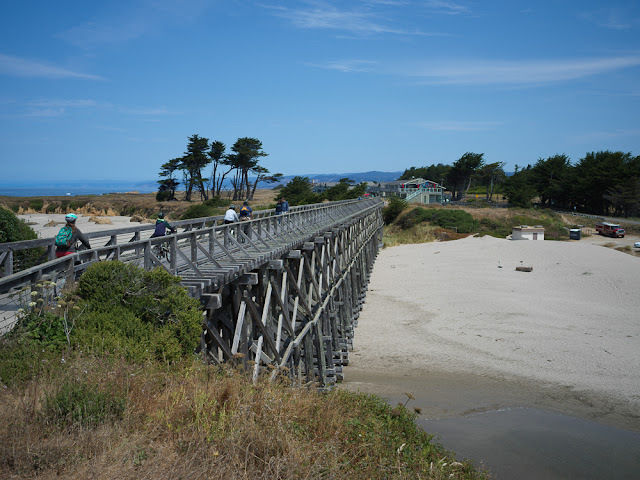 At the end of the 19th century Union Lumber built a 10 mile long railway to bring redwood logs (that were being deposited into Ten Mile River) to their mill at Fort Bragg. 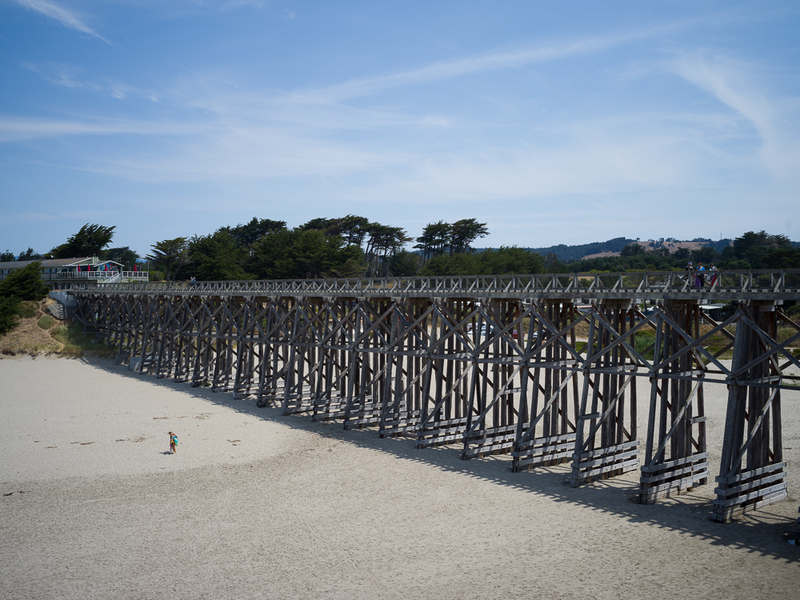 More information on the bridge, the railroad, and the lumber company is available on the Mendocino Model Rail Website. Pudding Creek Trestle is a 515 ft long wooden bridge that was built by the Union Lumber Company in 1915. The railroad bridge became a truck bridge when the railway was converted to a haul road in 1949. The logging operation ended in the 1970s and the truck bridge became a pedestrian bridge in 2007.